Call of Cthulhu, in my view, is the greatest role-playing game devised by hand or pseudopod. First published in 1981, Call of Cthulhu was an early entrant on the field of role-playing games, and in the intervening 33 years (and 7 editions) it really hasn't changed that much. It's like the shark: a primitive animal that didn't need to evolve, because it was born deadly. The games follow an arc that never gets boring: bookish heroes unwillingly learn that below the facade of polite society lurks conspiracy and madness. As they take up the battle against the conspiracy, they find themselves going a little mad too. The rational tools of research, deduction and inquiry descend into a climax of paranoia, overreaction and hysteria. In the face of unnameable horrors, the characters abandon themselves to suicide and sawed-off shotguns. It's like grad school all over again. Games Workshop had an early role in popularizing Call of Cthulhu: Starting in 1983, White Dwarf began publishing a series of excellent articles and adventures, quickly becoming the first main organ for CoC. 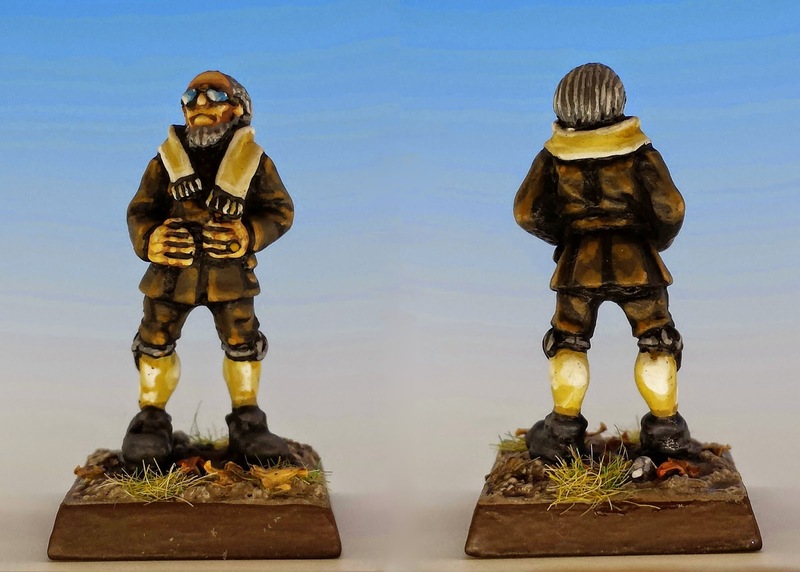 Even better, in 1986, Citadel Miniatures released the Gothic Horror range of miniatures, which added an alternative to the primitive sculpts offered by Ral Partha. 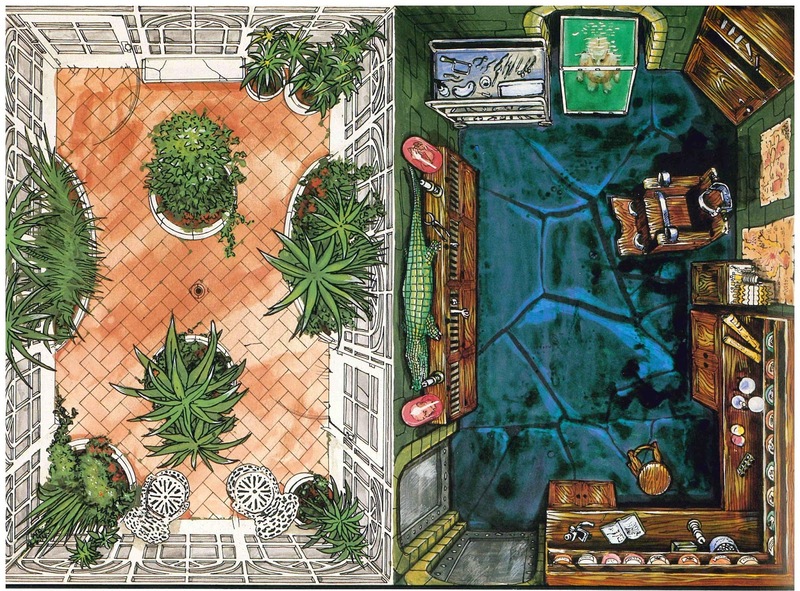 Another gorgeous contribution to the game was GW's Halls of Horror (1986): a set of floor plans drawn to the same scale as the miniatures (prefiguring floor plan games like Betrayal at the House on the Hill or Mansions of Madness). Sadly, the only thing Citadel failed to do was release a range of Cthuloid monsters, like Elder Things or Shoggoths. 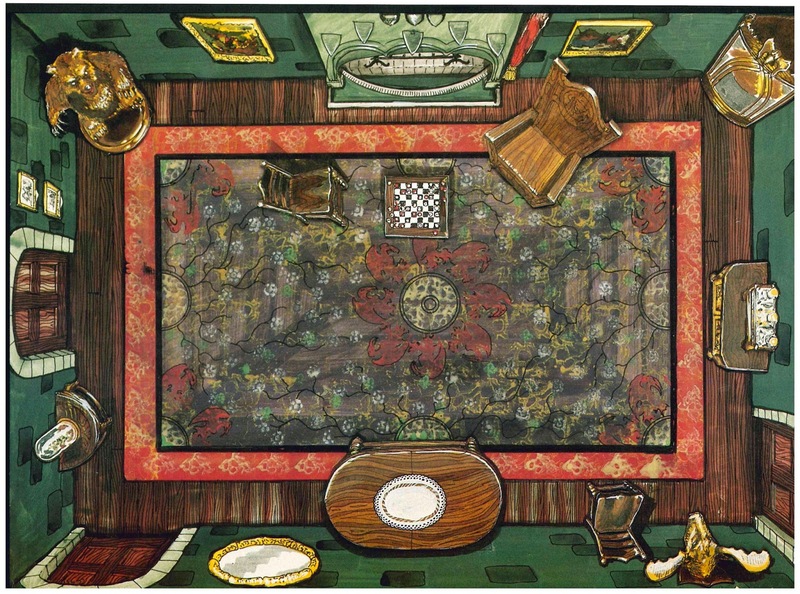 I love the Halls of Horror floor plans (two of which are featured here) precisely because they have an illustrated feel, bringing the game board into a story-book realm that matches the larger-than-life style of the Citadel Gothic Horror miniatures. The details in these rooms also exemplify the goofy black humour of GW's heyday: spooky portraits, heads in jars, and lots of taxidermy. My happiest role-playing experiences have all arisen from Call of Cthulhu: grand campaigns that spanned generations of characters and villains. But for reasons which have never been clear to me, I've never used miniatures in any of my games. This is something I've decided to remedy, by finding and painting as much of Citadel's Gothic Horror range that I can find. More pictures to come! Nathan - thanks for the kind words. Next post coming soon. Halls of Horror is almost always hideously overpriced on eBay. Try looking on Abebooks.com - That's where I got mine and it was a fraction of the cost, something like $25. Good luck! 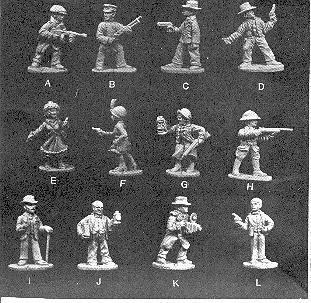 Speaking as a GM and not a miniature painter, I don't think you could use miniatures in tabletop CoC without doing violence to the mood. Nothing would cut a Great Old One down to size like plunking down a 1:10,000-scale mini of it and having it galumph around a hex grid. It works for goofy games like Mansions of Madness where getting chased around by byakhees like Keystone Cops is good for a laugh, but when you're making an honest try to reproduce the tone of Lovecraft's work there's real power to obfuscating certain things behind abstract language that is calculated to sound inadequate to the task. There's a reason he wrote "The Thing cannot be described"! I tend to agree with you, Matthew, at least up to a point. Reaper has a series of large (very large) Cthuloid monsters, including Great Cthulhu himself. I have trouble imagining any game of CoC that wouldn't be ruined by the appearance of this doll sized miniature, no matter how nice the paint job. All of this is to say, I think the best CoC games rarely place the characters in true combat with monsters, represented by miniatures or not. You should be running from them, not attacking them like a band of orcs. And, unfortunately, many CoC adventures forget this, and almost all CoC boardgames do too. But all that being said, there are plenty of encounters in Cthulhu that don't involve trans-dimensional monsters (cultists, cops, zombies, zombie cops, etc.). And that's where miniatures really shine, think. I am wondering, how could you make a Hound of Tindalos miniature coming through the angles of time? 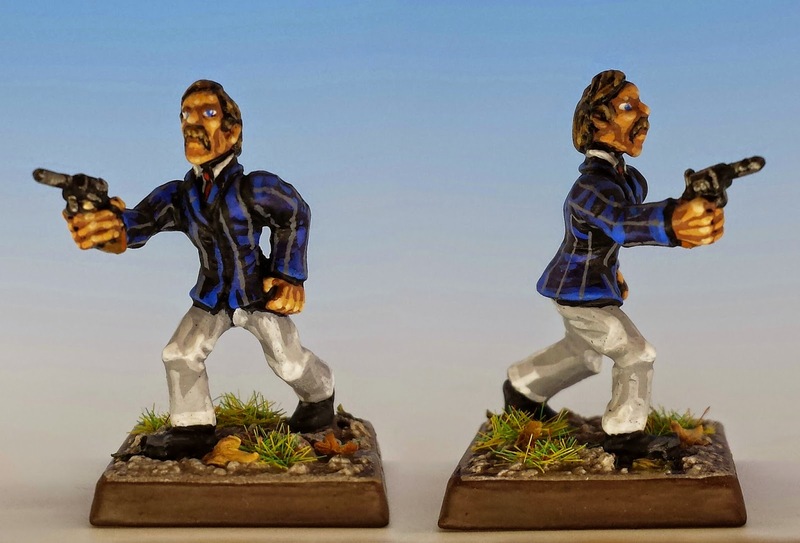 I redid the miniatures to make them more Victorian and used them for the more conventional horror game, Chill.